The world’s leading energy drink Red Bull has teamed up with the high powered, action packed V8 Supercars as the Official Energy Drink of the Championship. 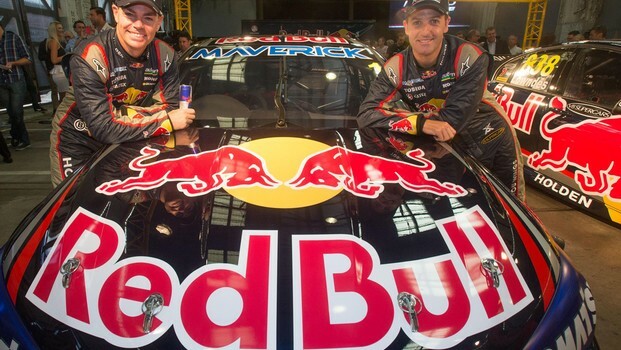 The partnership between V8 Supercars and Red Bull will see the popular energy drink served exclusively at every Australian V8 Supercars managed event for at least the 2013 and 2014 Championships. With Red Bull already making a significant investment in the sport with the Championship pacesetters, Red Bull Racing Australia, Red Bull now continues their major commitment to Australian Motorsport with the V8 Supercars governing body. Red Bull’s all-inclusive innovative take on sports is only matched by its professionalism and desire to give wings to worthwhile projects. The brand already sets the standard in international motorsport with its Formula 1 team and combined with Australia’s touring car category the future looks brighter than ever for V8 Supercars and Red Bull Australia. It truly has the potential to be a game-changing partnership. V8 Supercars chief executive officer David Malone said the partnership with Red Bull was a significant new addition to its impressive sponsorship portfolio. “It is tremendous to have a progressive company such as Red Bull deeply involved in our sport on multiple levels,” Mr Malone said. “Red Bull and V8 Supercars see very clear synergies between our brands. We are cut of the same cloth in that both brands have a motif of being revolutionary and innovative. Jason Sargent, managing director of Red Bull Australia and New Zealand said being the Official Energy Drink for Australia’s top motorsport category was an exciting new opportunity for the brand. "Our involvement with V8 Supercars stretched back as far as Marcos Ambrose's championship-winning days and our commitment to motorsport in general is something Red Bull prides itself on. "With Red Bull Racing Australia we have laid the foundations for what we hope to be a long and successful future in V8 Supercars . And by aligning ourselves with V8 Supercars' governing body, it demonstrates our belief in the category and everyone who follows it. "We couldn't be more excited at what the future holds for Red Bull and V8 Supercars, and we’re looking forward to being able to provide V8 fans with extra energy so they can get even more out of the awesome weekend on the track."